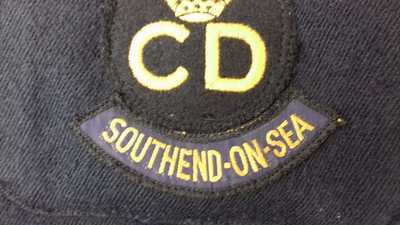 Local authorities were allowed to obtain from commercial manufacturers area markings to be affixed to uniforms. 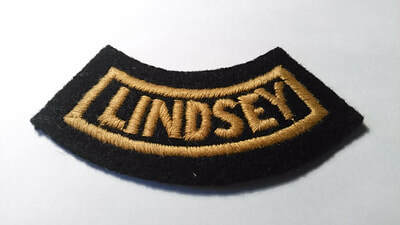 These would display either the authority's name (e.g. Lewisha) or where required their initials (e.g. H.H.R.D.). These first pattern badges were initially designated to be an oblong bar 3.75" by 1.75", either embroidered, silk screen printed or woven on rayon. 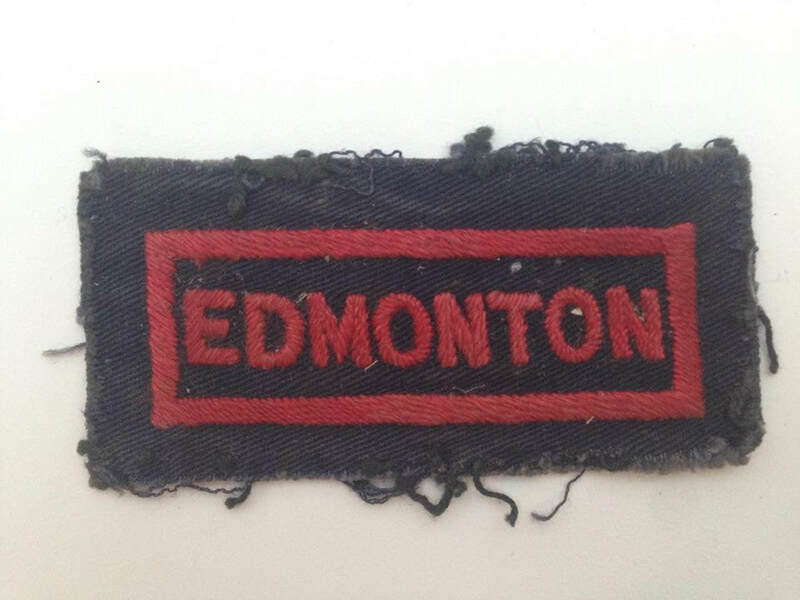 The lettering was to be red on a dark blue or black background. However, ovals as well as arched styles are known to have been produced, both with and without a border. These badges were normally attached to the bluette overalls, generally above the right pocket. ​The placement of the area badge varies from authority to authority with some below the ARP badge and some above. 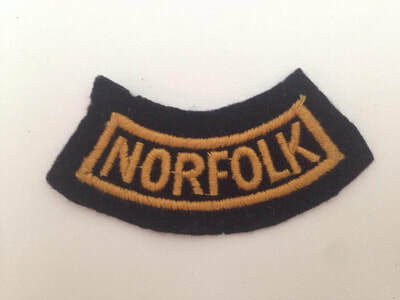 With the introduction of the battledress in 1941 some local authorities mandated that existing stocks of badges be used before the new old gold were issued. Consequently it is known that the red area markings appeared on battledress (just as the red ARP breast badge did). 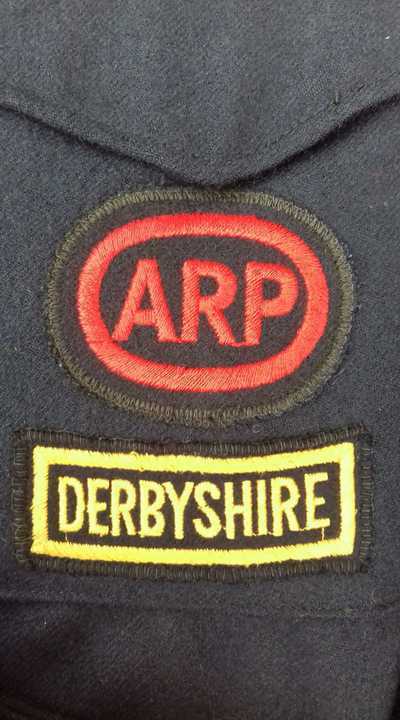 ARP Warden with Holborn (London) area marking. 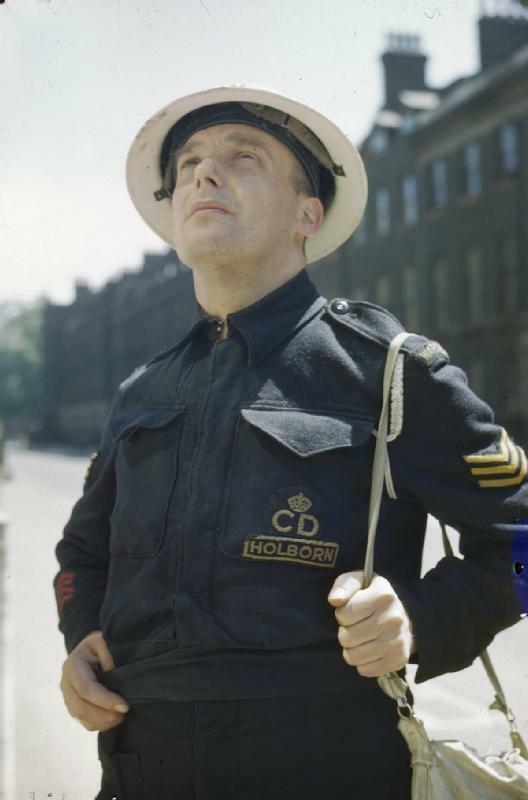 Following the introduction of the Civil Defence battledress (CD BD) in 1941, area markings were manufactured in 'old gold' (a yellow colour variance) on a dark blue material to match the battledress blouses and uniforms. These area markings were placed under the CD badge on the left chest pocket of the battledress. On the female Pattern 71 tunic the badge is known to appear above the pocket as well as below. Arched versions curved around the bottom of the CD breast badge and oblong varieties were also made. 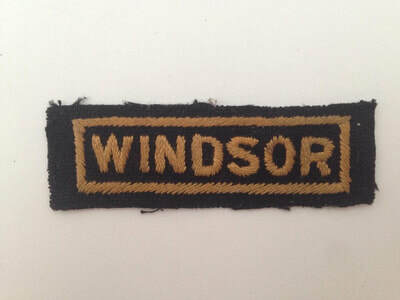 Again, some areas used a border whilst others did not. 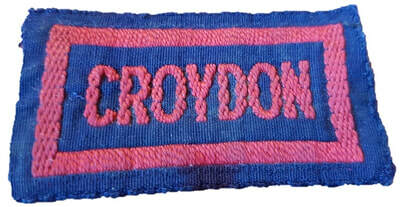 Backing material is usually dark blue wool but rayon versions are also known to have been produced. 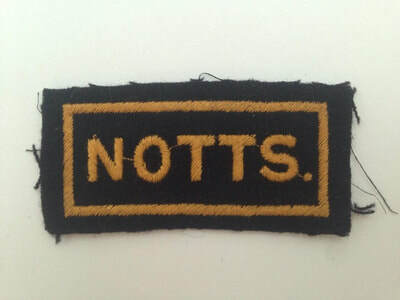 Additionally, some authorities placed a further badge below the area marking to differentiate between services. These are most commonly found as "R.D." for 'Rural District'. When worn on serge uniforms the official location, as dictated by ARP Memo 17, was below the CD breast badge. 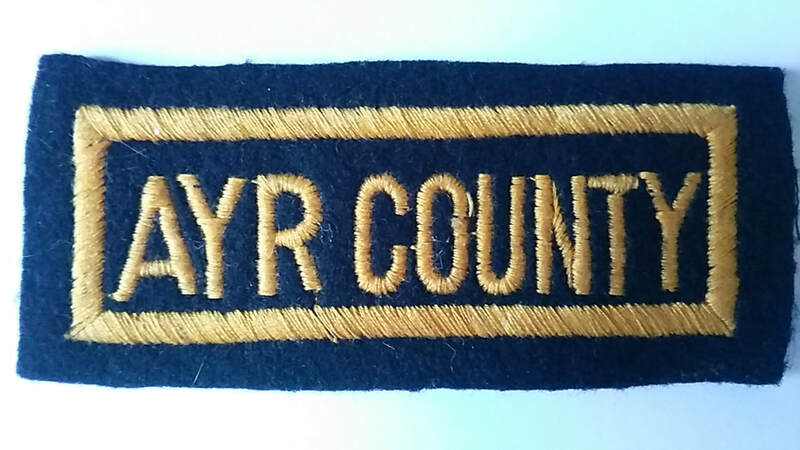 WW2 Ayr County Civil Defence Area Marking BAdge. 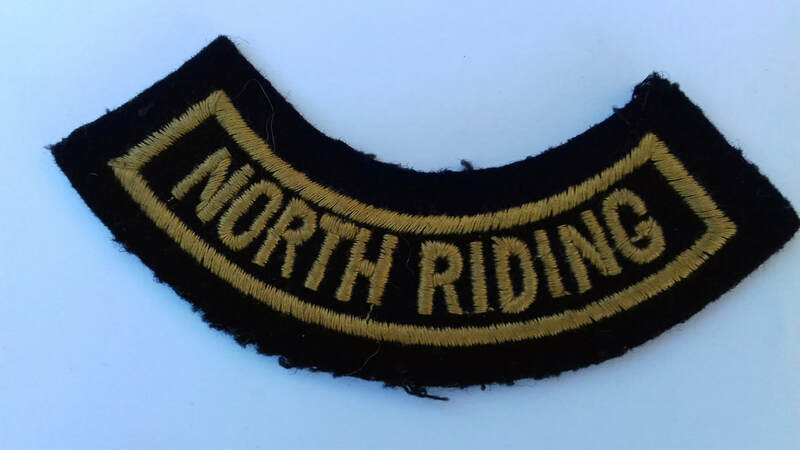 WW2 embroidered Civil Defence area marking for North Riding. 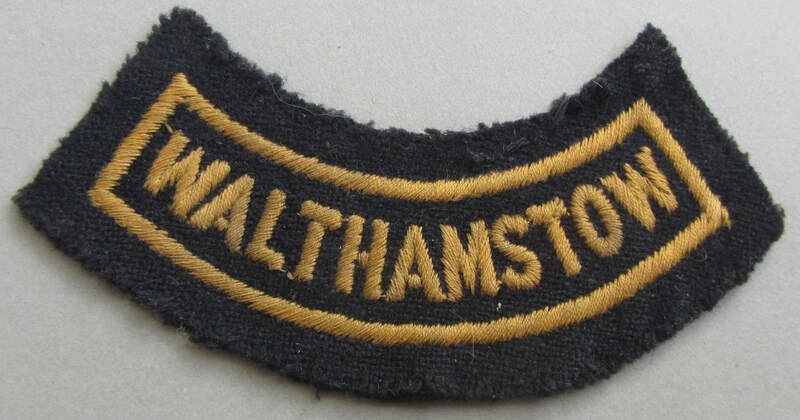 WW2 Walthamstow Civil Defence area marking badge. 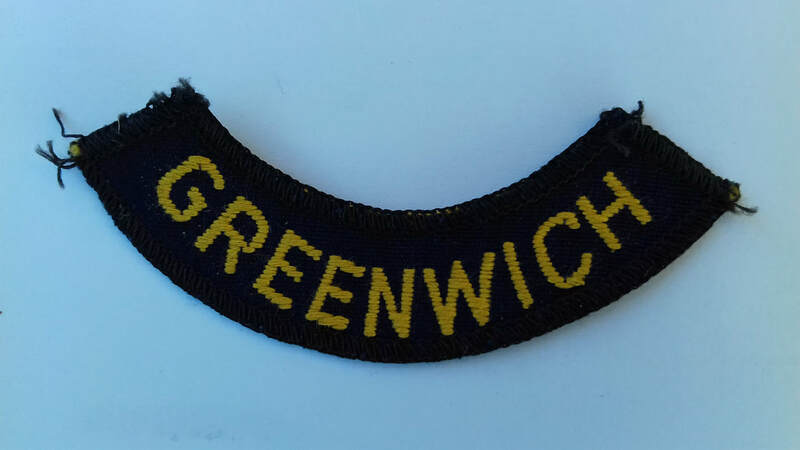 WW2 printed Civil Defence area marking for Greenwich in London. 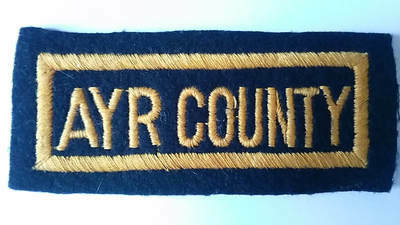 A high number of arched area location badges without a border were introduced with the Civil Defence Corps at the end of the 1940s. Many of these are claimed to be WW2. 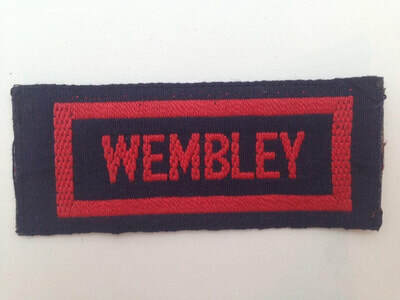 To submit original area marking badges please send me an email via the contact page.